Most Wanted was released on the same day as Solo: A Star Wars Story and serves as a bit of a prequel to that movie. It is written by Rae Carson, who already has a bit of a history in the Star Wars galaxy in the last few months. She's written two short stories. 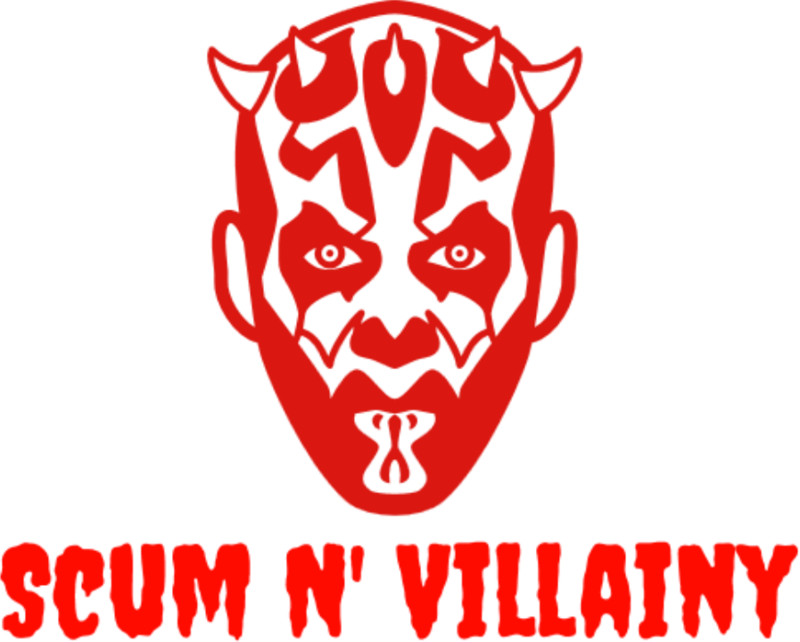 One for From a Certain Point of View and one for the Canto Bight collection. 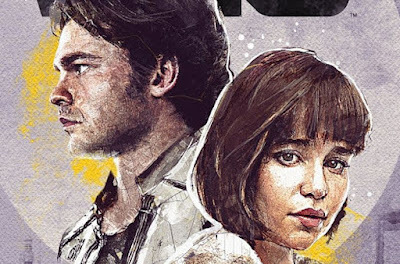 The novel takes place prior to the events of Solo and begins at a time where Han (yet to be given the name Solo) and Qi'ra were not friends. Both are working for Lady Proxima (the weird slug that appears at the start of the movie) and hope to receive a promotion to a position simply called the Head meaning a boost in food rations for the person who is able to gain the position. This means they are directly in competition with each other. When both their jobs go wrong they find themselves unaware of where to turn forcing them to team up even if they are unsure if they can trust each other. Most Wanted gives us a lot more insight into the world of Corellia. Han and Qi'ra spend most of their time running through the sewers on the planet. There are several organizations that have a presence on the planet too. There is also a young Rodian that is a firm believer in the Force that tags along with them when he has no other options. Tsuulo is a generous and likeable character as well even though he doesn't speak "basic" and Han is often the only person who can understand him. Tsuulo also may contribute to the reason Han is so quick to dismiss the Force in A New Hope. The group learn some things about each other and become friends over the course of the book. 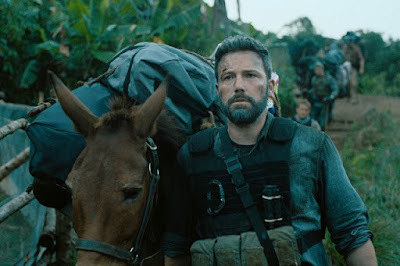 Much like the film that it leads into Most Wanted uses the Empire as a entity that seems to be present everywhere, but it isn't really the villain of the film. In some ways there really is no true villain of the book. Its just that Han and Qi'ra find themselves in this impossible situation by accident with several different groups pursuing them at once. 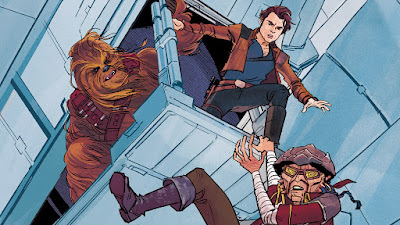 I feel like I know Han enough at this point that I can tell if he's been written correctly and for the most part I'd say Rae Carson does a solid job. She really captures Han's "fly by the seat of your pants" nature all while having the charm he's known for later in the timeline. Qi'ra is also very loyal to the character that we see in the movie who does anything she can to survive at any cost. I felt like this novel does add a little more tragedy to Qi'ra's story knowing the direction that she does take at the end of Solo. Carson offers perspectives from both Han and Qi'ra, but its actually Qi'ra who shines a little brighter. Most Wanted avoids becoming a romantic story, but its apparent that Han and Qi'ra deeply care for each other and the romantic element is surprisingly absent. If you've seen Solo. You know that this story doesn't have a lot of options for an ending because Han and Qi'ra are still in Lady Proxima's White Worm gang at the start of the movie. Unfortunately, I didn't find myself excited by many of the twists. It seems to almost be formatted like some of the other Star Wars canon novels that I've already read. Most of the characters outside of Han, Qi'ra and Tsuulo are basically throwaway characters that you won't remember after the book ends. Still, the book doesn't take any time to get underway and for the most part it keeps the pedal down right until the end. I don't consider this to be one of my favorite books in the new canon, but its a completely capable and enjoyable book. It may have even benefitted from a release prior to Solo.